Excellent condition used equipment, ready for use. - Flail mower in 2015. Width: 500 mm - General good condition used equipment, ready for use. - Vibratory plate compactor in 2002. Excellent condition used equipment, ready for use. - Asphalt cutter in 1993. 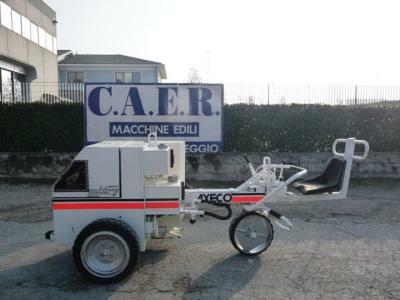 Ask for price - Walk Behind Hydraulic Asphalt Breaker - Asphalt cutter in 2000. Ask for price - Excellent condition used equipment, ready for use. - Asphalt cutter in 1985. 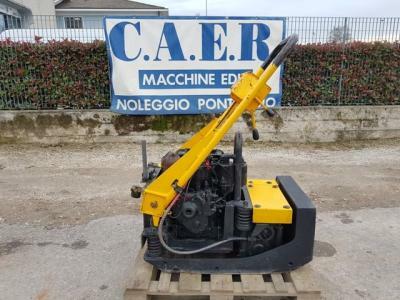 Ask for price - Walk Behind Hydraulic Asphalt Breaker - Asphalt cutter in 1984. General good condition used equipment, ready for use. - Asphalt cutter in 1985. 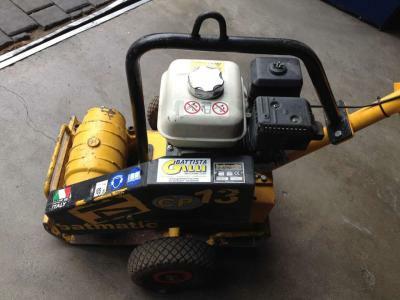 Ask for price - Width: 440 mm - Weight: 130 kg - Excellent condition used equipment, ready for use. - Vibratory plate compactor in 2011. 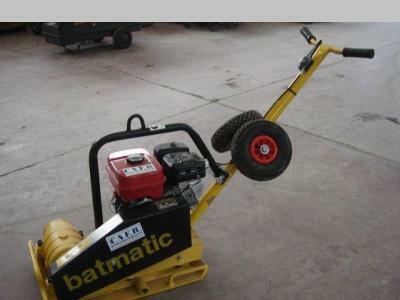 Weight: 100 kg - Excellent condition used equipment, ready for use. - Vibratory plate compactor in 2005. Fairly good condition used equipment, ready for use. - Cutter drum in 1993. Ask for price - Excellent condition used equipment, ready for use. - Vibratory tamper in 2005. Ask for price - Used equipment ready for use. - Vibratory tamper in 2019. Suitable for Bomag Rollers BW219 D D2 D3 D4 Suitable for rollers with 1600 mm diameter Hamm 3518 / 3520 ecc Without cleaning bars - Padfoot kit in 2015. Ask for price - General good condition used equipment, ready for use. - Thermal container in 2000.
perfectly working - Bucket sweeper in 2001. Ask for price - The owner changed 3 ago complete drum (app in 4000 hours), before 2017 season made big and expensive repair by Cat service - Repaire: engine - new in - Cold planner (Attachment) in 2009. Width: 1,750 mm - New equipment, ready for use. - Bucket sweeper in 2018. Width: 2,000 mm - New equipment, ready for use. - Bucket sweeper in 2018. Width: 2,250 mm - New equipment, ready for use. - Bucket sweeper in 2019. Excellent condition used equipment, ready for use. - Bucket sweeper in 2018. 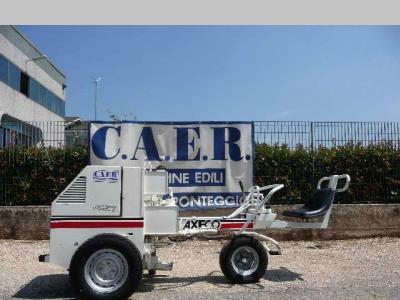 Width: 1,500 mm - General very good condition used equipment, ready for use. - Bucket sweeper in 2016. Width: 2,000 mm - Excellent condition used equipment, ready for use. - Bucket sweeper in 2018. Used equipment ready for use. - Cold planner (Attachment) in 2017. Cold planner width: 100 cm - Cold planner depth: 150 cm - Excellent condition used equipment, ready for use. - Cold planner (Attachment) in 2018. Cold planner width: 40 cm - Cold planner depth: 13 cm - New equipment, ready for use. - Cold planner (Attachment) in 2018. Cold planner width: 40 cm - Cold planner depth: 13 cm - New equipment, ready for use. - Cold planner (Attachment) in 2019. Width: 200 mm - Weight: 180 kg - New equipment, ready for use. - Vibratory plate compactor in 2018. Ask for price - Width: 300 mm - Weight: 270 kg - New equipment, ready for use. - Vibratory plate compactor in 2018. Width: 600 mm - Weight: 600 kg - New equipment, ready for use. - Vibratory plate compactor in 2018. Width: 1,400 mm - New equipment, ready for use. - Bucket sweeper in 2019. Width: 1,600 mm - New equipment, ready for use. - Bucket sweeper in 2019. Width: 1,800 mm - New equipment, ready for use. - Bucket sweeper in 2019. Weight: 60 kg - New equipment, ready for use. - Flail mower in 2019. Weight: 90 kg - New equipment, ready for use. - Flail mower in 2019. New equipment, ready for use. - Wheel trencher in 2019. Weight: 230 kg - New equipment, ready for use. - Flail mower in 2019. Weight: 160 kg - New equipment, ready for use. - Flail mower in 2019. Petrol tamper - Vibratory tamper in 2005.